You may be asking yourself if counseling is right for you. I want to assure you that taking the step to address the struggles in your life, is both a courageous and worthwhile decision. 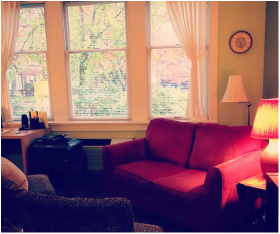 I am a Masters level mental health therapist in Seattle offering one-on-one counseling for adults, couples, and adolescents. I work from the perspective that our relationships and the environments in which we are raised have a significant impact on our lives. With that in mind, we will explore your relationship to yourself and others and the ways in which you have learned to adapt to your environment. ​I believe as you gain new experiences, both consciously and unconsciously, authentic change is possible. I look forward to meeting you!